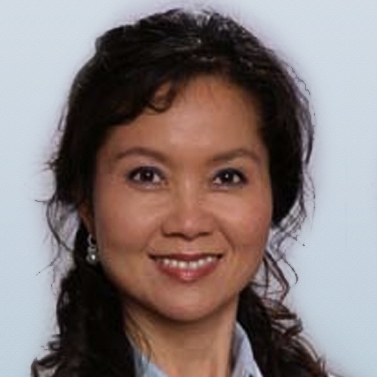 Dr. Christina Y. Ahn earned her Medical Degree from New York University School of Medicine in 1983. Post doctoral training included General Surgery residency at Mt. Sinai Medical Center, New York, NY and Plastic Surgery training at the University of Pittsburgh, PA. In 1991 she completed a fellowship in Microvascular Surgery at UCLA Medical Center in Los Angeles, CA. She was recruited to join the faculty and remained on staff until 1997 as an Associate Professor in Plastic Surgery. There, she was able to pursue her interests in pioneering microvascular techniques with a special focus on breast reconstruction. She served as a founding member of the Comprehensive Breast Cancer Center with Dr. Susan Love and Dr. William W. Shaw, participating in many clinical and research projects that have advanced reconstructive surgical techniques. Dr. Ahn was one of the first physicians to investigate and determine silicone implant rupture using specific MRI technologies. In 1995 she was appointed by Commissioner David Kessler to serve as a consultant on the FDA implant rupture study. In 1997 Dr. Ahn returned to New York City, NYU Medical Center, where she joined the faculty of the NYU School of Medicine as an Associate Professor of Plastic Surgery. Greatly interested in the education of the next generation of physicians, she continues to be an innovative educator, mentoring medical students and teaching residents and fellows the most current surgical techniques. Hospital affiliations include NYU/Langone Medical Center, Lenox Hill Hospital and Manhattan Eye, Ear and Throat Hospital with additional private out-patient facilities. Dr. Ahn is Board Certified by the American Board of Plastic Surgery and is respected internationally as an expert in the field of Microvascular Breast Surgery, reconstructive surgery and cosmetic surgery. Since 2001, Castle Connelly has recognized Dr. Ahn as a Top Doctor /Top Surgeon in the New York Metropolitan area. She has been recognized for her dedication by numerous awards and honors including the Susan G. Komen Breast Cancer Foundation Award. She has lectured in Italy, Germany, Korea, Canada and Greece, Australia, China as a visiting Professor and is currently active in numerous academic and professional research societies. In addition, she has performed live surgery presentations for international symposia. Post mastectomy (BRCA gene mutation) microvascular breast reconstruction using Perforator Free Flaps DIEP/ SIEA/S-GAP/ I-GAP/ TUG/ I-CAP/ T-DAP amongst others. Dr. Ahn resides in New York City with her husband and two children where she continues to pursue academic endeavors and a clinical practice dedicated to compassionate, quality healthcare. Are you a candidate for Flap surgery? Contact us. We will check if Flap surgery is right for you.